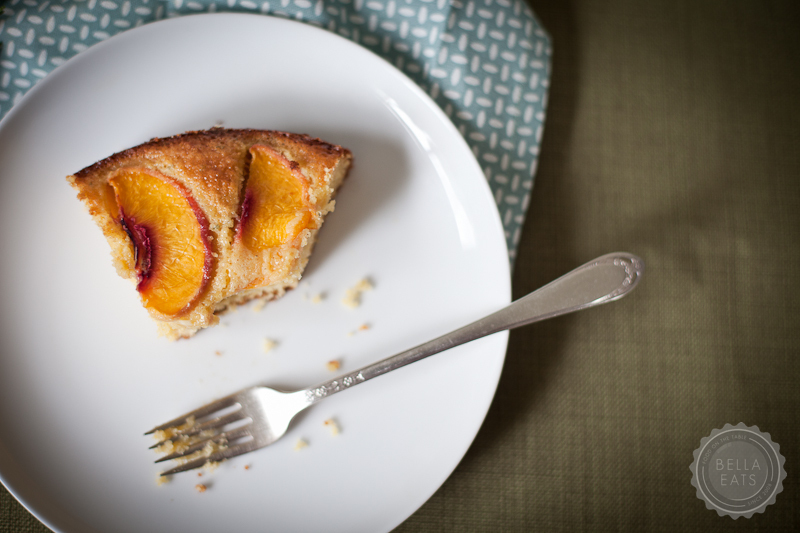 After venturing out to Chiles Peach Orchard with a girlfriend a few days ago, I found the first thought swirling through my head involved a dense, peach-topped, breakfast-y cake. 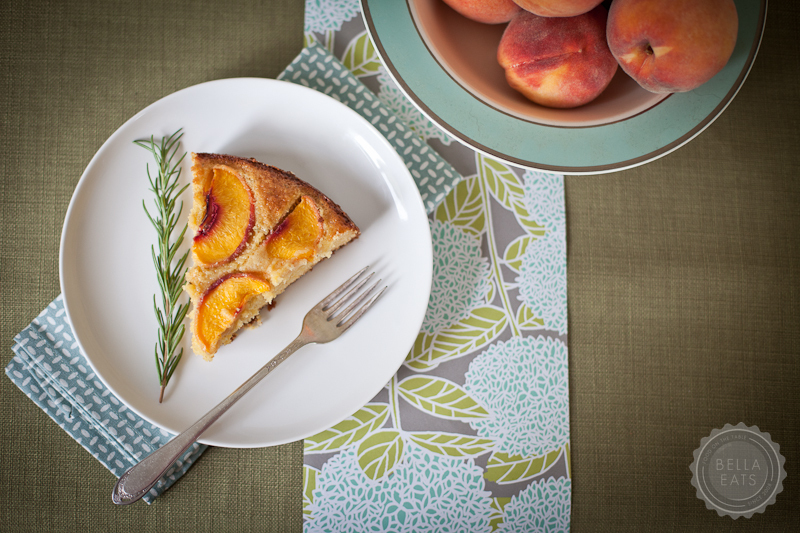 A cake with some heft; a good base to start the morning off just right. 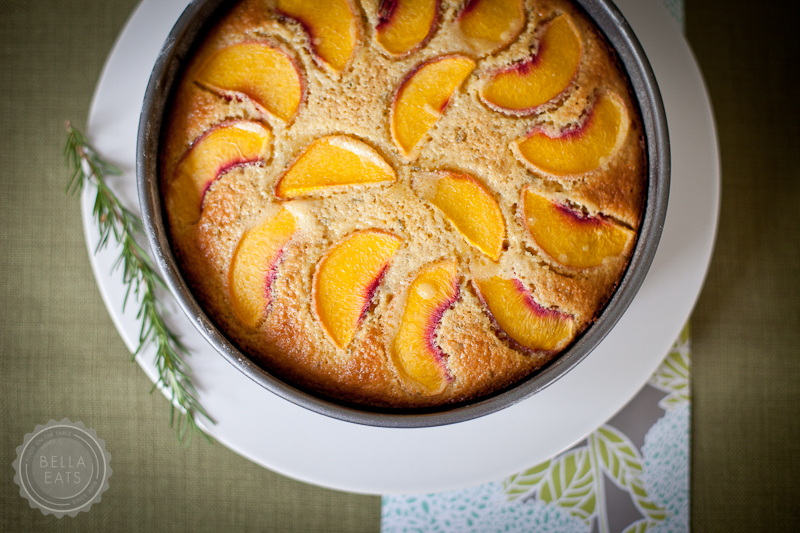 After some searching I came across Emeril's Cornmeal Olive Oil Cake with Poached Peaches...(the name goes on...), and modified it to suit my own desire for a simple, one-component breakfast cake. I am so very, very pleased with the result. The rosemary-scented cornmeal crumb is dense and savory with moments of crunch and highlights of salt. It sounds strange, I know, but there really are occasional bites that taste salty, while the majority offer a mild sweetness courtesy of the honey and fruit. 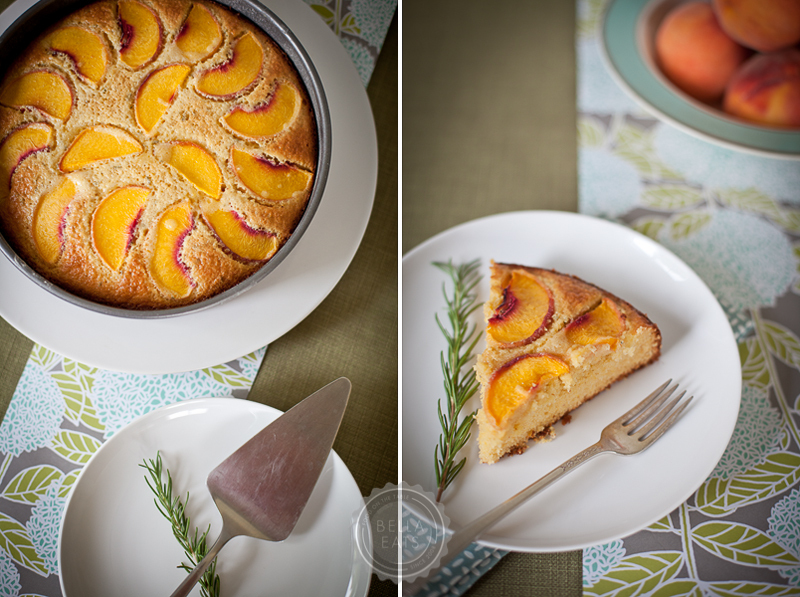 It is a cake full of wonderful contrasts; sweet paired with salty, the crunch of cornmeal with the softness of peaches. Into a medium bowl, sift together the flour, baking powder and salt. Stir in the cornmeal and the rosemary. In a large bowl, beat the eggs, egg yolk, milk, olive oil, and lemon zest with an electric mixer until frothy. Add the sugar and honey, and mix to combine. Add the dry ingredients and beat until the batter is smooth. 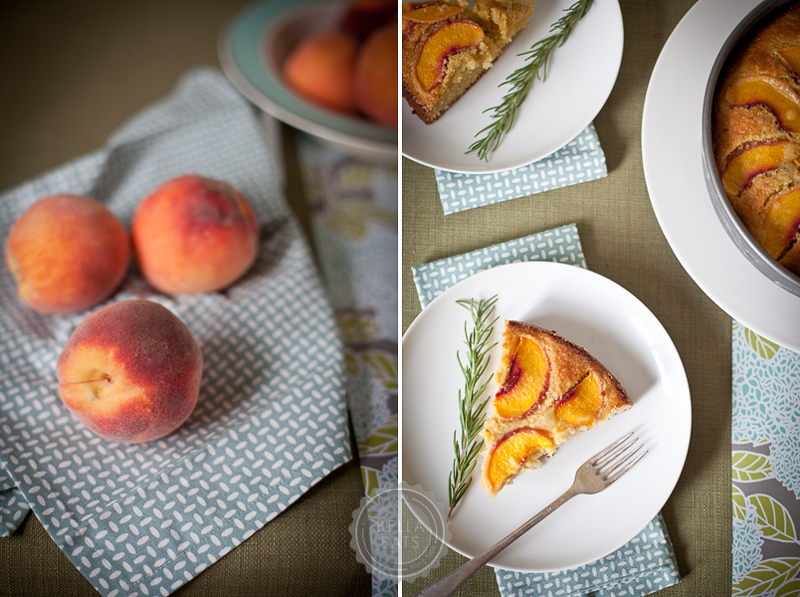 Pour into the prepared pan and top with the peach slices. Bake in the middle of the oven for 35 minutes, or until a tester comes out with a few crumbs attached. Let the cake cool in the pan on a wire rack. If using a springform pan you can remove the cake whole, otherwise you can slice it in the pan and remove individual slices to serve.